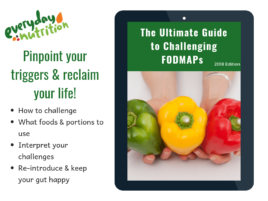 While the low FODMAP diet has been shown to extremely effective at alleviating bloating, pain and diarrhoea, people who suffer with constipation dominant IBS often need extra strategies to get things moving. Additionally, those with diarrhoea dominant IBS, can also find that the low FODMAP diet can slow their bowels a little too much. FODMAPs are certain types of carbohydrates that when consumed in food or drinks are not absorbed . This means they continue their path along the digestive tract, passing through the bowel to be flushed away. 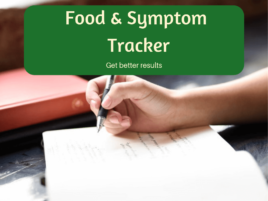 One the reasons FODMAPs can cause loose stools or diarrhoea is that that tend to be very osmotic, meaning that as they travel through the intestines they attract water. This extra water in the bowel speeds up the movement of matter though the digestive tract and can lead to loose or watery stools. 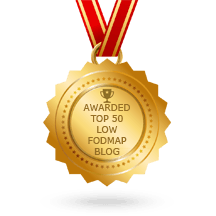 When you commence a low FODMAP diet and begin to limit the amount of FODMAPs you consume, the result will be that you draw less water into the bowel. Of course, less water in the bowel means a reduction loose stools or diarrhoea. But, if the digestive tract becomes a bit too dry, the result can be constipation, a little like a river during a drought. If you are someone who is more prone to diarrhoea and have had a good reduction in your gut symptoms on the Elimination phase of the low FODMAP diet, moving to the Challenge phase would be the best way to manage any constipation. This phase can help you find that happy balance between drawing enough water into the bowel to keep things moving, but not so much that things move too fast. It’s good to start by including a daily serve of a high fibre food. 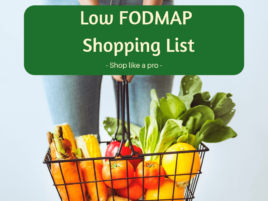 Low FODMAP options include ¼ cup of drained and rinsed tinned chickpeas or ½ cup drained rinsed tinned lentils or ¼ cup of low FODMAP nuts or seeds. Swap breads and cereals for low FODMAP whole grains like quinoa, sorghum, oats, buckwheat, millet and spelt or wheat sourdough breads. Enjoy low FODMAP vegetables by including them in at least two meals per day, and snack on low FODMAP fruit twice each day. It’s good to look for a variety of colours when choosing your fruit and vegetables and if possible leave the skins on. Kiwifruit in particular are well known for improving gut transit time. NB: Whenever you increase your fibre intake it’s also important to increase your water intake as well. Fibre soaks up fluid, so increasing fluid will allow the fibre to work properly. Exercise can reduce constipation by stimulating the natural contractions of the digestive system. It doesn’t really matter what you do, it’s the fact that your moving that counts, so find something that you enjoy and do it regularly. Correct posture can help to align the colon and make it easier to pass a bowel motion. Place feet flat, lean forward, relax and breathe deeply. Some people also find it helps to place a small footstool or some books under their feet. Having a routine can also help, aim to make time to sit in a relaxed way at a similar time each day. Holding on can worsen constipation, so when you feel the urge, go right away. If you find that the tips above don’t help, consider a fibre supplement like psyllium husk or partially hydrolysed guar gum (PHGG). Start small and increase the dose as tolerated and be sure to drink plenty of water. Magnesium can help to relax muscles, it’s also osmotic and is known to have a laxative effect which can help with managing constipation. You may also like to discuss over the counter or prescription preparations and laxatives with your dietitian, pharmacist, or doctor. These can be very useful, but need to be personalised to your situation and needs. This blog discussed constipation in relation to IBS and the low FODMAP diet. It is important to note that constipation can be caused as the result of many different factors, so it’s essential that you consider which of these factors may be influencing you. In some cases, e.g. medication induced constipation, certain strategies may worsen the situation. Please talk to your doctor for personalised advice. Joanna & Marnie are gut health expert dietitians with the knowledge and skills to support you with personalised advice and solutions for all of your digestive concerns. We consult privately in Melbourne and via Skype. Book an appointment or email us today.